why wouldnt you buy this for an extra £5??? I've had trouble with Sanyo products in the past and would go with the Toshiba Regza. There's only one way to find out.......FIGHT!!! Out of interest, why easily? Just about to buy today so would like to know for sure! Frankly, you are mad to buy this over the Samsung or Toshiba for the same price.. (give or take £10). This item isnt even available elsewhere ..which pretty much says it all. It looks cheap, it has no proper spec list so you cant be sure of contrast etc...and no reviews. Out of interest, why easily?Just about to buy today so would like to know … Out of interest, why easily?Just about to buy today so would like to know for sure! The panels in these might be fairly similar but the processing in the Toshiba beats the Sanyo or Sharp hands down. Aren't Sanyo ran by Sony? I'm pretty sure this'll just be an old Sony panel rebadged. That said, I'd take the Toshiba over this every time. No Sanyo have no associations with Sony. Sanyo are about to be taken over by Panasonic. 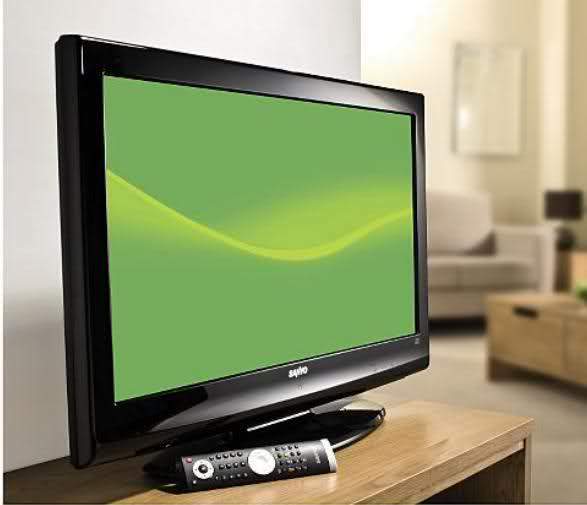 I think I have read somewhere that Sanyo branded TV's in Europe are yet another Vestel or Beko clone! I agree the Tosh or Samsung look better buys. Edit Came across this which seems to confirm Sanyo LCD's Vestel origins. Will nip down today and grab myself one. Many thanks!! it is not full HD ,, good for hd tv but not for blueray hd with 1920 x 1080 .
it is not full HD ,, good for hd tv but not for blueray hd with 1920 x … it is not full HD ,, good for hd tv but not for blueray hd with 1920 x 1080 . Makes more sense for sets larger than 40"
I bought the 26" version of this from ASDA when it was reduced a while ago, it's a nice telly and the bonus is I can play AVI movies through the USB port, only used a 2 gig memory stick so far so not sure if it'll cope with a hard drive. I'm sure they could if they wanted to, after all, for years they have been Panasonic's big rival in the budget LCD projector market. If you have any probs with electricals from a supermarket, you simply return it & have it replaced or refunded,(no questions asked). It's not allways this easy when buying elsewhere!